The Georgia Environmental Protection (GA EPD) is responsible for protecting, maintaining, and enhancing water quality throughout the State. To that end, GA EPD develops wasteload allocations (WLAs) and Total Maximum Daily Loads (TMDLs) for facilities that discharge treated wastewater, domestic or industrial, into surface waters to assure that the permitted effluent limits do not cause or contribute to violation of applicable water quality standards. A WLA is the portion of receiving water’s assimilative capacity allocated to point sources of pollution. WLAs are determined based on conservative assumptions to protect the water quality under worst case conditions such as low flow (7Q10) and high temperature. Facilities wanting a wasteload submit a Wasteload Allocation Request form with site-specific information on the receiving waterbody and the discharge flow. 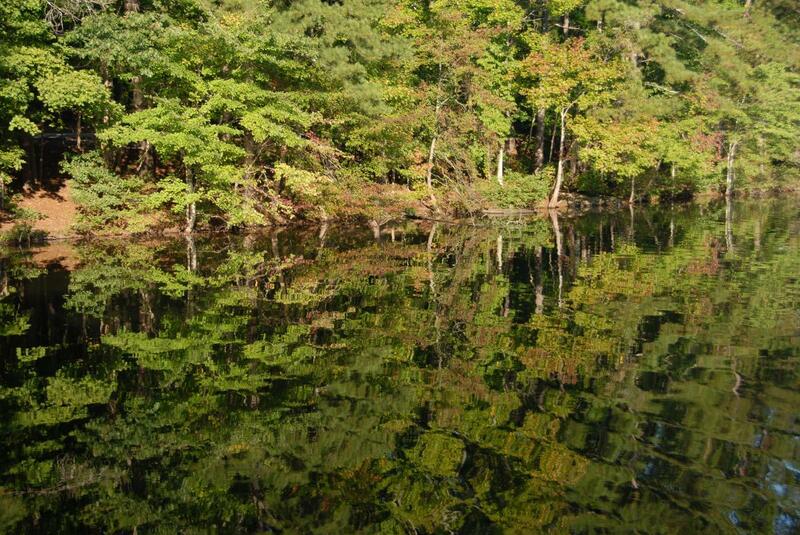 National Pollutant Discharge Elimination System (NPDES) permits typically have permit limits for oxygen demanding substances: 5-day biochemical oxygen demand (BOD5), ammonia (NH3), and dissolved oxygen (DO). These constituents affect the dissolved oxygen (DO) levels in streams as they naturally decay. Water quality models are used to predict the instream DO levels. Water quality models are the tools used to determine the available assimilative capacity and total maximum daily load that can be input into a waterbody from wastewater dischargers and non-point sources and still meet the instream water quality standards. A brief description of the water quality models GA EPD uses most often is given below. These models can be downloaded here. Critical annual and monthly 7Q10 flows have been determined by USGS for 197 long term gaged streams. Using this information, USGS developed regional regression equations for estimating selected low-flow frequency (7Q10 and 1Q10) and mean annual flow statistics for ungaged streams in north Georgia not substantially affected by regulation, diversions, or urbanization. The equations can be found in Methods for estimating selected low-flow frequency statistics and mean annual flow for ungaged locations on streams in North Georgia, Scientific Investigations Report 2017-5001. These equations provide estimates of the flows for ungaged stream locations north of the Fall Line. An interactive map can be found at the USGS StreamStats website. StreamStats is a Web-based geographic information system that provides streamflow statistics and basin characteristics for USGS streamgage locations and ungaged sites of interest. 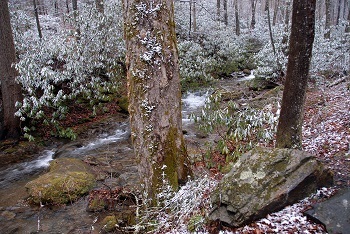 Any location can be selected along a stream in north Georgia. To determine critical stream temperature, temperature measurements were analyzed using a harmonic curve-fitting procedure to compute a statewide stream temperature harmonic equation, based on latitude, drainage area, and altitude for streams having drainage areas greater than 40 square miles. The equation can be used to compute long-term natural harmonic stream temperature coefficients to within ~0.4 ° C. In addition, harmonic-function coefficients for each station have been computed from the least-squares sinusoidal fit of the measured stream temperature data. These results can be found in the USGS Water-Resources Investigations Report 96-4203, Stream-Temperature Characteristics in Georgia. Water quality models predict instream DO levels that result from the decay of BOD. Models use ultimate biochemical oxygen demand (BODu) rather than BOD5. Many NPDES permits require long-term BOD tests be performed to determine the f-ratio (ratio of the BODu to BOD5) and the carbonaceous and nitrogenous biochemical oxygen decay rates. The Long-term BOD software package (LtBod.exe) was developed by the GA EPD to manage Long-term BOD lab test data and perform non-linear analysis to determine BODu and decay rates for multiple carbonaceous and nitrogenous components. LtBod.exe runs on Microsoft Windows operating systems. It provides a number of useful features: flexible spreadsheet-style entry of required lab test data; internal checks on data quality; extensive graph options for raw lab data; built-in tutorial and procedure documents; generous reporting capability; and non-linear curve fit routines for determining multiple carbonaceous and nitrogenous BOD components for use by water quality models. The installation program for LtBod can be downloaded by clicking here and then clicking Download and LtBod. Before doing so, you should review the Installation Instructions.